The third edition of Data Innovation Summit will be held in Stockholm on the 22nd March 2018. This year’s event will focus on practical case studies on Data Driven Innovation, Data Management, implementation of Analytics and Data Science capabilities, Artificial Intelligence, IOT insight and technology. With over 60 Nordic and international speakers on five stages and plenty of learning and networking activities in the exhibition area, the 2018 summit is the place to be for all professionals and organisations working with utilisation of data for increasing profit, reinventing business models, develop data-driven products, and increasing customer satisfaction. The Big Data Innovation Summit 2018 which will be held in London on the 21st and 22nd March will bring together executives from the data community for two days of keynotes, panel sessions, discussions and networking. The Watify initiative is an awareness-raising campaign, funded by the European Commission, to stimulate the technological transformation of Europe’s industry. Watify is organising an inter-regional matchmaking event on Artificial Intelligence in Ljubljana, in cooperation with Omniopti. The leading Slovenian research institutions, the University of Ljubljana and Jožef Stefan Institute, will give inputs on the latest progress in the field of Artificial Intelligence. This event offers the opportunity to speak and to connect to business partners, innovators, developers and intermediaries that can help participants in the development of new innovative products, production processes and services in an informal way and in bilateral matchmaking sessions. To find out more about the event, including the agenda, participants and venue, please visit the event website. The 11th RDA Plenary Meeting takes place from the 21st to the 23rd March 2018 in Berlin, Germany. Some side sessions are scheduled on the 19th and 20th of March. Under the theme "From Data to Knowledge", the Plenary meeting welcomes the participation of all data scientists, experts and practitioners engaged in the advancement of data-driven science and economy. The 12th and 13 March 2018, The Palais des Congrès of Paris will guess the event “Big Data Paris 2018”. Big Data is influencing business processes more than ever, and in 2018 the trend is towards the democratisation of data and its use in businesses. In this new paradigm, organisations must focus on deploying the most efficient and secure architecture to collect, store and process an abundance of increasingly heterogeneous data, in real time and integrating machine learning technologies. With the testimonials of more than 100 speakers and 250 exhibiting brands, Big Data Paris 2018 will guide companies in such dimension! The EBU Big Data Initiative was launched two years ago to explore the challenges and opportunities of big data for public service broadcasters. Two years on, it is time to go beyond exploration and take stock of implementation: big data strategies are being deployed and media organizations are changing. The 2018 GSMA Mobile World Congress will convene industry leaders, visionaries and innovators to explore the trends that will shape mobile in the years ahead. During the four-day event, more than 108.000 mobile professionals will network, showcase and exchange ideas! ARTEMIS Industry Association is pleased to announce the ARTEMIS Brokerage Event 2018, taking place at the Maritim proArte Hotel Berlin on 6-7 February 2018. The ARTEMIS Brokerage Event is ideal for matching project ideas and building quality consortia, with regard to the ECSEL Calls 2018 and H2020 Calls 2018, as well as for networking with key players in the area of the Embedded Intelligence. Use the enclosure to save the date in your calendar and keep an eye out for the event invitation, which will be sent mid December. More information will follow soon here. Data Economy Conference, organised by IVSZ within the EuDEco project, will offer a unique opportunity to business leaders (IT and other sectors too), policy makers and other stakeholders to deepen their knowledge in data economy related topics that will likely emerge in their daily practice and will need to be tackled in the future. The conference will be held in Budapest the 31st of January 2018. Check the agenda of the conference and register now! If you have any further questions, please do not hesitate to contact us! European researchers, developers, service providers and private sector representatives are invited to join the discussion on the role of research data in the Data Economy context and the RDA contribution to the different Data Economy building blocks. 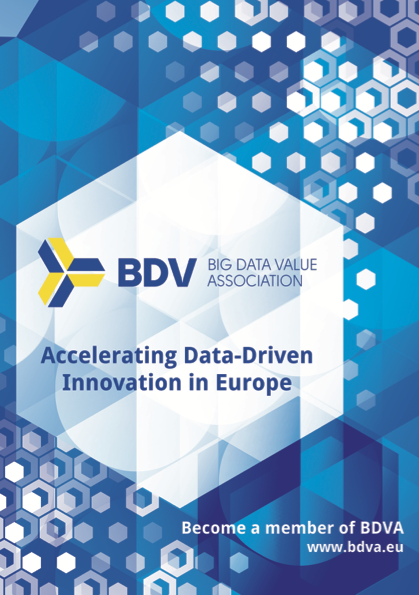 The goal of the event is to collect and converge the different perspectives and push forward new innovative ideas in the overall context of the challenges and opportunities of the European Data Economy and data-driven innovation in Europe. More info at: https://www.rd-alliance.org/rdaeu-data-innov-forum-2018. On the 19th of January 2018 an Info Day focus on the 2018 Calls for Proposals of the Horizon 2020 Work Programme in the field of Information & Communication Technologies will take place in Zagreb, Croatia. The topics on Big Data Infrastructure will be presented. Information concerning the overall agenda is available here. Find more information here (page in Croatian only). The Conference on “Data Sharing between companies in Europe – results from a study by the European Commission and way forward” has been held on the 12th of January in Brussels. It aimed at presenting the main findings of the ‘Study on B2B data sharing in Europe’ commissioned by the European Commission, DG CONNECT. Selected companies showcased their experiences with regard to data sharing in B2B relations. To follow up and leverage on these findings, it included a workshop to discuss the way forward in relation to fair principles to B2B data sharing. The presentations used during the conference are available here. The conference brings together representatives and changemakers from European and international institutions, cities, companies, NGOs, SMEs, investors and other interested professionals from around the world to discuss this year's theme “Cities Driving the Digital Transition”. Mariya Gabriel, European Commissioner for Digital Economy and Society, will open the conference, that features high level plenary speakers in four thematic tracks. The detailed agenda will be announced shortly. The European Forum for Electronic Components and Systems aims to join forces and to bring all ECS stakeholders together to work on a common strategy, future collaboration and vision. The event is organised by AENEAS, ARTEMIS-IA, EPoSS, ECSEL Joint Undertaking and the European Commission. EFECS 2017 is an international forum focussing on the Electronic Components and Systems value chain in Europe. During the event, strategic theme sessions will be organised, keynote speakers will share their expertise and vision and R&I results will be shown in a project exhibition. This year, VRT, Var and BOZAR are organising a special edition of Media Fast Forward, the yearly networking and inspiration event on media innovation. On the 5th of December, Media Fast Forward engages entrepreneurs, media professionals, researchers, advertisers and everyone with interest in media innovation to re-think the opportunities and impact of media and technology in our (future) world. You can find further information about the event and registrations here.